There are multiple ways to check if you’re at at healthy weight. 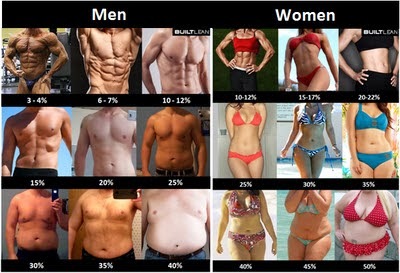 BMI, Weight, Body Fat to name a few. Although BMI is the most popular we advise you take it with a pinch of salt. Muscle weighs more than fat so a body builder would have a high BMI but not be classed as fat. Below are multiple ways you can check if you’re in the healthy range. 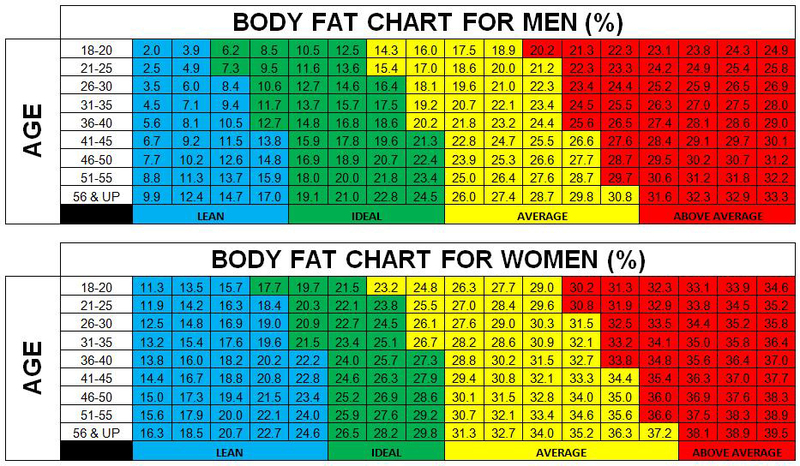 We advise you use calipers to determine your body fat percentage using the below chart but the visual chart can give you a good idea.